Is there really anything more frustrating when it comes to clothes, and cleaning them, than ironing? As everyone knows, the purposed of an iron is to help press our clothes so that they can help to give us a neat and clean appearance. Unfortunately, using an iron to press clothes can be a tricky and confusing task (and hence frustrating). It seems like every type of fabric out there has it's own rules about being ironed. Then, there is the whole prospect of keeping the ironing board and the iron itself in working order. Instead of running yourself ragged over ruined clothes, let us help you out with the best methods for using and keeping an iron. Take a look. The following articles are available for the 'Ironing' topic. Click the article''s title (shown in bold) to see the associated article. Steam irons can definitely (and almost always will) get clogged. This clogging prevents the iron from operating to its full capacity and by cleaning that clogged up steam iron you'll have better pressed clothes and a better iron overall. Cleaning an ironing board cover may be more involved than you might think. Because of protective coatings applied to some covers, washing them in a washing machine may harm the finish. Follow these steps for cleaning your ironing board cover. Especially after multiple uses, an iron hot plate can get dirty and often that dirtiness affects the effectiveness of the iron. Maximize your iron's effectiveness by making sure your iron hot plate is clean. June Cleaver set the impossible standard of domestic perfection and believe it or not, you don't have to iron sheets, pillowcases, and tea towels! It's just not necessary and here's why. So many people just don't do ironing because it's seen as boring and arduous. However ironing doesn't have to be drudgery: it makes your clothes look more polished and it's actually pretty simple. Plus you can multitask and catch up on favorite TV shows! Pleats are sometimes so hard to iron and sometimes even seem impossible. Fortunately there is a way to successfully iron pleats and all you need in some paperclips from your office supply drawer. Some clothing requires a permanent crease, but how exactly do you iron them? They can definitely seem a little intimidating. However, they really aren't that bad and once you learn how you'll have sharp looking clothes wherever you go. Sometimes you need pressed clothes, but you don't have an iron on hand. How do you do it? Here's how to iron without an iron. Lace and fine netting are fragile fabric that should be handled with care. Protecting the fabric from particles or your ironing board can be done by laying a towel over the area and placing the item on the towel. You can use starches to help the fabric lay flat or the shape it or make it stiff. 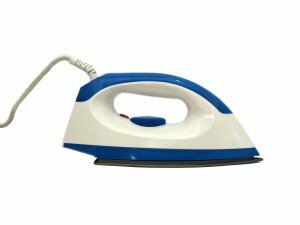 You iron should be set to its lowest setting to begin with, and the steam off, then you can gradually raise the temperature to a cool-medium setting at the end. Hate those unwanted creases in your jacket sleeves? Fixing that actually isn't hard and you can live without jacket creases! Scorch marks just happen sometimes and you have the power to fix it! Here are a few tips to get those unsightly scorch marks out of your favorite clothes. When you go on vacation, it's inevitable that your clothes will get wrinkly, regardless of whether you ironed them previous to your departure. How can you prevent or minimize this? The solution isn't difficult and just takes some routine adjusting. Using a sleeve board for ironing blouses and shirts makes getting into tight places, such as sleeves, collars, and sleeve caps much easier than simply using a larger ironing board. Washing and ironing your clothes is a necessary chore and so you should just accept it and learn how to do it well. Laundry and ironing don't have to be horrible and it can be greatly simplified if you just know a few simple tips! You want your steam iron to operate to the best of its capacity so you need to use the right kind of water. Not using the right kind can be detrimental so make sure you're going about iron care the right way.